The Boiler Operator’s Exam Preparation Guide focuses right in on exactly the kind of problems you will find on your exam. It’s packed with practice multiple choice, problem-solving, and essay questions to help you prepare―plus this guide shows you how to answer, step by step. Boiler Operator’s Exam Prep Guide. If the exam is on boiler operation, this guide is your fast track to acing the test! It was written by a licensed professional engineer specifically for those who work with boilers and want to pass licensing exams. With this results-oriented review guide, you’ll save study time. 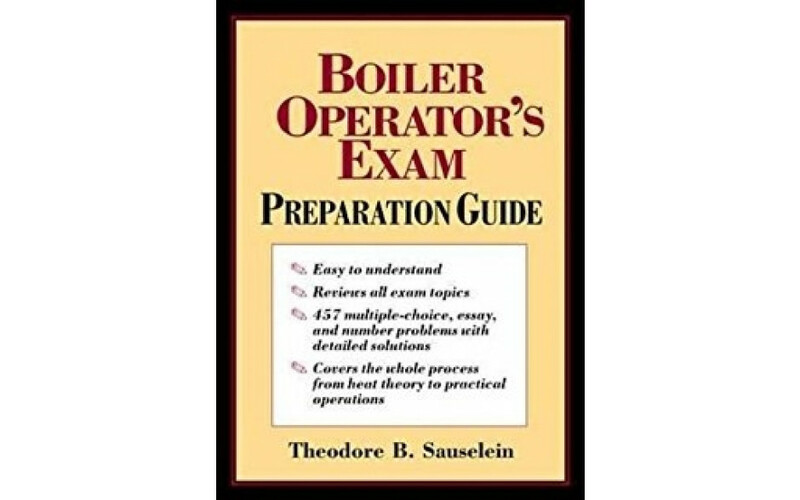 The Boiler Operator’s Exam Preparation Guide focuses right in on exactly the kind of problems you will find on your exam. It’s packed with practice multiple choice, problem-solving, and essay questions to help you prepare―plus this guide shows you how to answer, step by step.